Best water heater service and plumbing repair in Carmel Valley San Diego and surrounding areas. Tankless and tank water heater replacement and repair in Carmel Valley San Diego and surrounding areas. No hot water? Leaking water heater? Water heater and plumbing repair in Encinitas and surrounding areas. Endless hot water! We offer tankless replacement, repair, and maintenance in Carlsbad and surrounding areas. Gas/Electric water heater repair/replacement in Carlsbad, San Marcos, Encinitas, Oceanside, Escondido, Vista, Carmel Valley. Serving San Diego County since '97. Call for your free quote 760.845.0907. Leaking water heater tank? Call today for you free quote. 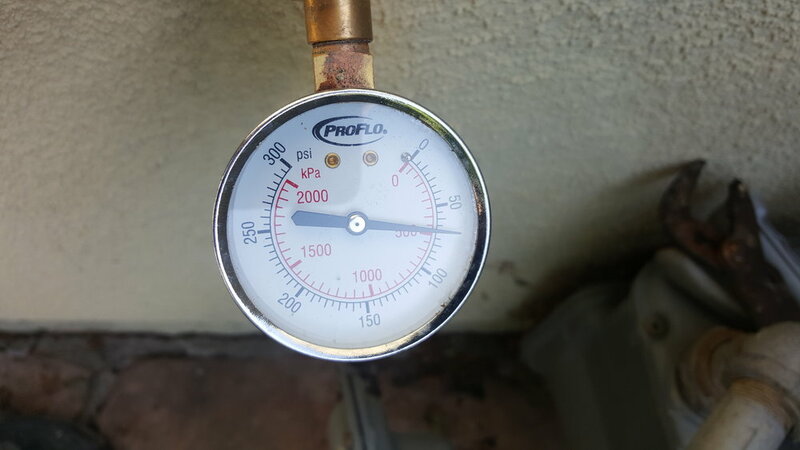 Carmel Valley water heater plumbing repair. 760.845.0907. Is your gas or electric water heater leaking? We offer repair or replacement in San Marcos and all San Diego County! Call now for your free quote 760.845.0907. We offer water heater repair and replacement for gas or electric water heaters and tankless, also. We also offer many other plumbing services. Expert Plumbing service at a fair price. Water heater replacement for San Marcos, Carlsbad, Carmel Valley and all surrounding areas. As we see in the video below, the client's previous tank was installed without a drain pan. Water is very unforgiving, and damages from a leaking water heater can be very costly. If you're water heater is approaching 10 years old, and your without a drip pan to protect you from damages, call for your free quote 760.845.0907. 40 gallon gas water heater Replacement in Carmel Valley. Emergency service plumbing, Carmel Valley repair plumbers. 40 gallon gas water heater Replacement in San Marcos. Emergency service plumbing, San Marcos repair plumbers. 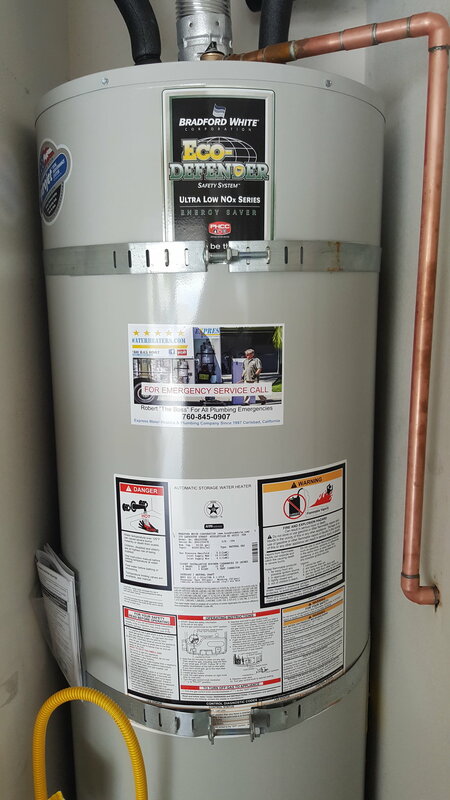 40 gallon gas water heater Replacement in Carlsbad, Ca. Emergency service plumbing, Carlsbad repair plumbers.